Would Blaster Master Zero be considered a success for the Nintendo Switch? As many people know the Blaster Master series has been around since the 80’s when the Nintendo Entertainment System was popular. In fact the original Master Blaster game was released for the NES back in 1988. The original Master Blaster game had a basic plot but was praised by many people because it’s gameplay. The problem that people had with the original Blaster Master game was that the game itself was too difficult. 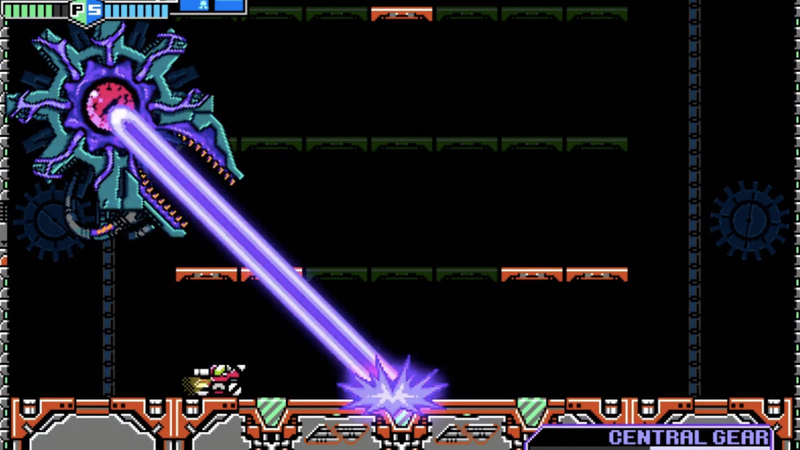 The recent game the series Blaster Master Zero is arguably not as difficult as the original. Also, many people are surprised that the series made a return on the Nintendo Switch. 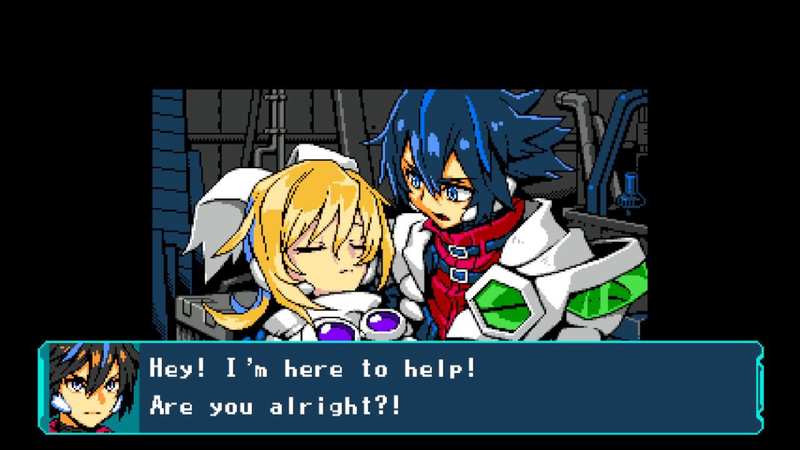 When it comes down to visual design and gameplay Inti Creates did a great job on Blaster Master Zero. Even though, the game is not quite as popular as the original many people are glad to see the Blaster Master see back on a home console. 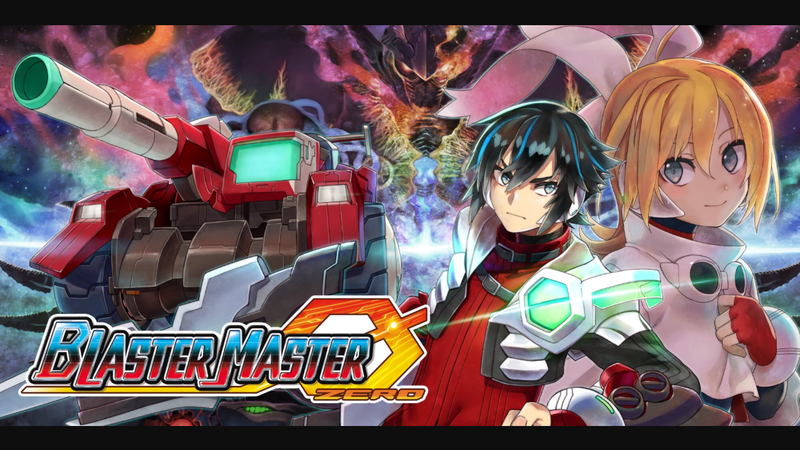 In terms of sales it was reported that Blaster Master Zero has sold over 80,000 units worldwide since its release back in March 2017. While some people might argue that Master Blaster Zero did poorly in terms of worldwide sales others will argue that the game has done well. Usually, games are expected by some people to hit at least one million units worldwide to be considered as success in terms of sales. However, considering the fact that the Blaster Master series has faded in popularity since the 90’s selling 80,000 units worldwide on a brand new game console is actually quite impressive. Should the Excitebike series make a return? The original Excitebike game was one of the most well known titles for the Nintendo Entertainment System during the 80’s. Since the 80’s the only real sequel that we have seen is Excitebike 64 which was released for the Nintendo 64 back in 2000. 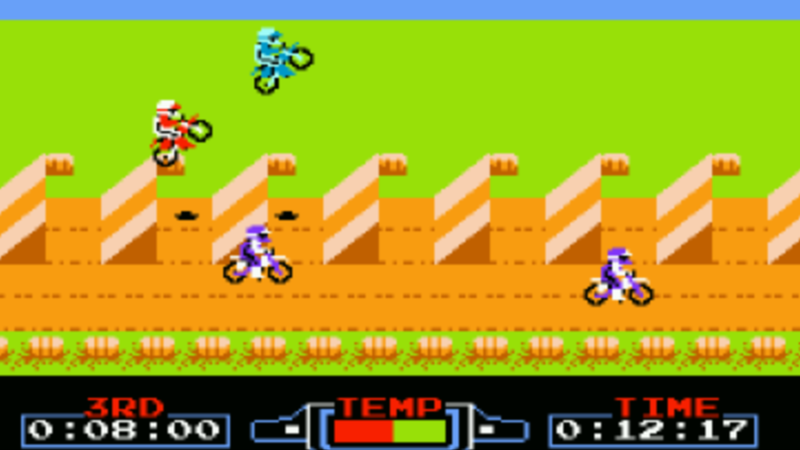 When the original Excitebike game was released for the NES many people found it to be exciting yet very challenging. 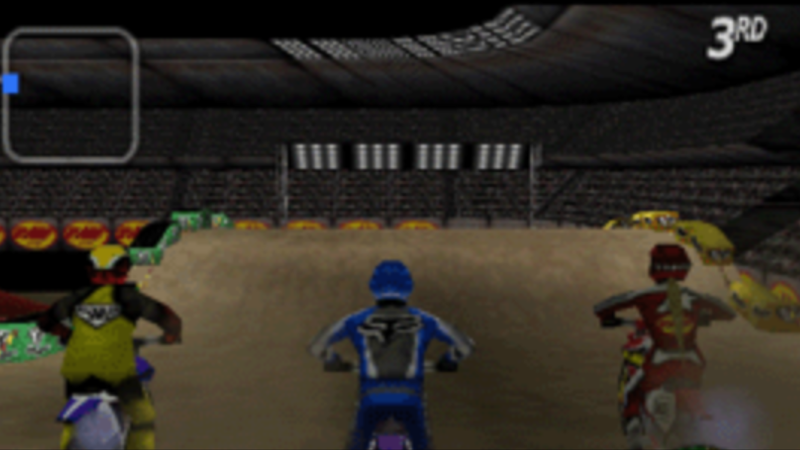 Even though, Excitebike 64 looked and felt completely different from the original game many people would argue that trying to keep racers on their bikes was just as much of a challenge as ever. There were so many things about Excitebike 64 that added to the replay value of the game itself. The inclusion of at least 20 different tracks in season mode along with fun mini games and the ability to design your own custom track made Excitebike 64 over two times better than the original. Since the development of Excitebike 64 many people have probably wondered why Left Field Productions never made a sequel for the Wii or Wii-U. When Excitebike was released for the Nintendo 64 it managed to sell at least 2 million units worldwide. If there was an Excitebike title for the Wii it could have sold at least one million units worldwide if the game developed the right way and was marketed properly. It might be too late to get an Excitebike game for any Wii consoles but it’s not to late for the series to make a return to the Nintendo Switch. Will we see a Mario Party game for the Nintendo Switch? There is no doubt that we are likely to see another Mario Party game for the Nintendo Switch in the near future the only question is when. The idea of having Mario Party 11 for the Nintendo Switch is one that is not only marketable but is one that many people who are long time fans of the series would truly enjoy. When it comes down to the popularity of the Mario Party series some people would argue that recent games are not as exciting as the original while others would beg to differ. In terms of sales the Mario Party games still do pretty good. Since its release in 2015, Mario Party 10 has sold over 1.7 million units worldwide since its release for the Wii-U. When it comes down to the best selling games in the Mario Party series many people believe that the first three were among the best. The very first Mario Party game which was released for the Nintendo 64 back in 1998 has sold over 2.7 million units worldwide which is an impressive feat. Mario Party 2 & 4 has sold over 2.4 million units worldwide since their respective releases for the Nintendo 64 and the Nintendo Gamecube. The Mario Party series is one that has done great in terms of longevity and it will be a matter of time before we see another game for the Nintendo Switch. Should Duck Hunt have received a direct sequel? When we think about old school NES games of the 80’s Duck Hunt is one of the many games that instantly comes to mind for a majority of people who owned the Nintendo Entertainment System Duck Hunt was a rather violent yet simple game where players had to shoot a certain amount of targets to advance to another level. One of the things that made Duck Hunt much more exciting was the fact that players had the chance to use the NES zapper while playing the game. Looking back at the NES zapper accessory from the 80’s it looks similar to something that would have worked if Nintendo made a sequel for Duck Hunt for the Nintendo Wii. In fact, the thought of not having a sequel for Duck Hunt for the Nintendo Wii is something that many people probably question to this day. The Nintendo Wii was the perfect console to bring back an NES classic like Duck Hunt especially considering the fact that players could use Wii remote and nunchuck in mostly every game that was available for the console. In fact, the Nintendo Wii did have its own zapper gun which could be used on games such as Dead Space Extraction, Golden Eye 007, House of the Dead and more. In terms of preference its difficult to tell which console would have been best for a direct sequel for Duck Hunt but most people would probably agree that a succeeding game should have happened regardless. Does the Sega Nomad deserve more credit than it got? When it comes down to handheld game consoles of the 90’s the most common device that everyone instantly think about is the original Game Boy. While the Game Boy played 8 bit titles such as Pokémon and Zelda: Link’s Awakening the Sega Nomad was able to play almost any Game that was released for the 16-bit Sega Genesis console. Recently, there has been a lot of talk about the Sega Nomad with people saying that it was Sega’s version the Nintendo Switch of the during the 90’s. 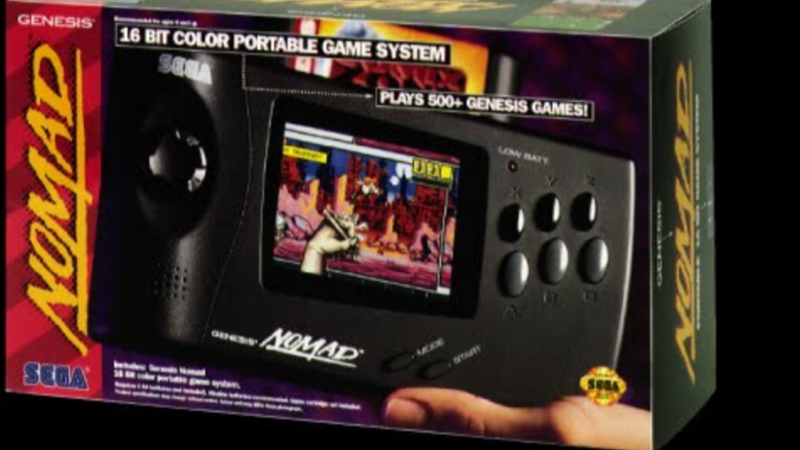 Despite, how innovative the Sega Nomad was back in the 90’s some would argue that it got overshadowed by the likes of Game Gear and Game Boy back when handheld game consoles started to become popular. Also, by the time the Sega Nomad was released in 1995 the Sony PlayStation was starting to become more popular. 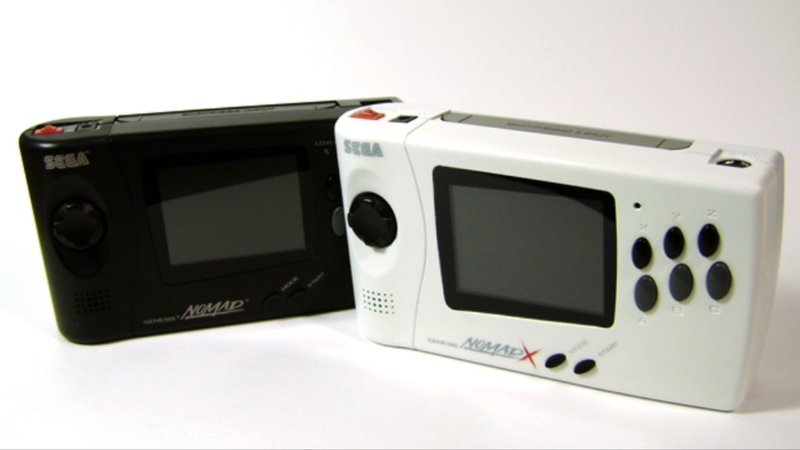 Around the mid 90’s people were more interested in 3D gaming opposed to 2D games which may have been a factor on why the Sega Nomad may have been overlooked. If the Sega Nomad was released a few years earlier could have been a legitimate threat to the original 8 bit Game Boy in regards to handheld consoles. Should Top Gear have received an arcade release during the 90’s? When it comes down to racing games the Top Gear series is one of the most well known titles of the early 90’s. The original Top Gear game was so much fun to play for the Super Nintendo Entertainment System and many people feel that the series itself was underrated. In terms of worldwide sales the Top Gear games for the Super Nintendo Entertainment System did not do to well. Some people would probably argue that the original Top Gear game should have received an arcade release before it was released for the SNES. During the early 90’s we had so many cool racing games in arcade centers worldwide including Sega Outurn, Daytona USA and Cruis’n USA that eventually received various ports to different game consoles. Some would argue that if the original Top Gear game for the SNES was featured in arcade centers first the game would have been much bigger than it was during the early 90’s. However, it quite debatable on whether or not Top Gear would have been big as Sega Outrun or Daytona USA back then. It also debatable on whether or not it would have lead to more worldwide sales for the Super Nintendo. But the original Top Gear game had the potential to be an arcade classic considering the fact that you had a limited amount of cars to choose from along with a few stages similar to most arcade racing games. Would Naruto games benefit from virtual reality features? The idea of having a Naruto game with Virtual Reality features possibly for the PlayStation VR is definitely something that many people could definitely sink the teeth into. When it comes down to contemporary fighting titles the Naruto Shippuden Ultimate Ninja series is definitely one that deserves some type of Virtual Reality gameplay in the near future. Whether it be actual gameplay or giving players to view the cutscenes of story mode through a first person perspective Virtual Reality will definitely take the Naruto Shippuden Ultimate Ninja Storm series to the next level when it comes down to the fighting genre of gaming. It would have been pretty cool to see older games from the 00’s with virtual reality based features considering the fact that they included interesting story modes. Pulling of a Naruto game with virtual reality capabilities is most likely to be easier said than done. Also, as of right now there are not too many fighting games with virtual reality features in the gaming market right now that we know of. Since its release Naruto Shippuden: Ultimate Ninja Storm 4 has managed to sell over 1 million units worldwide since its release in February 2016. The amount of sales that Ultimate Ninja Storm has done not only proves that the Naruto series is still fairly popular which could mean that most fans of the series would probably have no problem of seeing game with virtual reality features in the future.